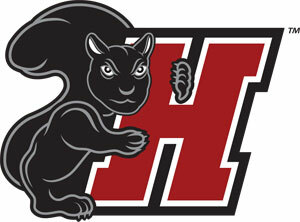 Haverford College is a leading liberal arts college located approximately ten miles outside of Philadelphia in what is called the historic “Main Line,” describing the picturesque towns that run alongside the rail line to Philly. Known for its academic rigor, Honor Code, and beautiful campus and arboretum the school is home to a small population of approximately 1,300 students. Although Quakers founded the school, the college does not have a religious affiliation today. 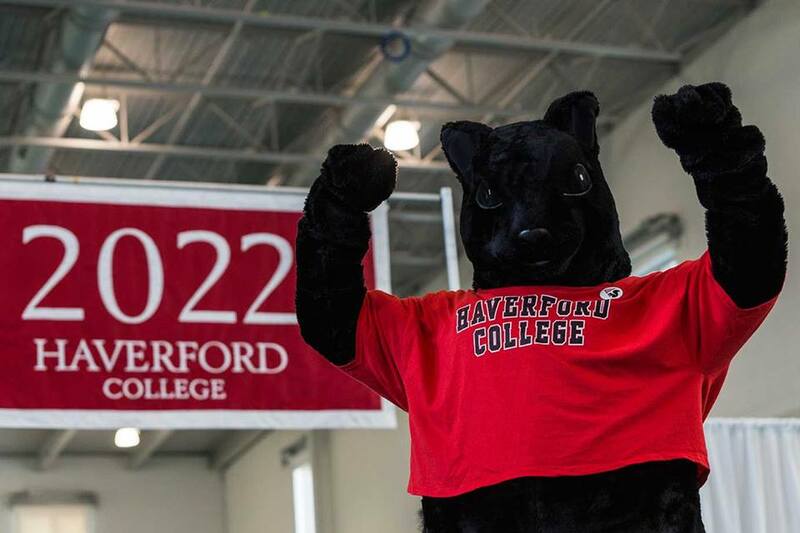 Haverford College offers students the opportunity to take classes at nearby Bryn Mawr, and Swarthmore and the University of Pennsylvania. 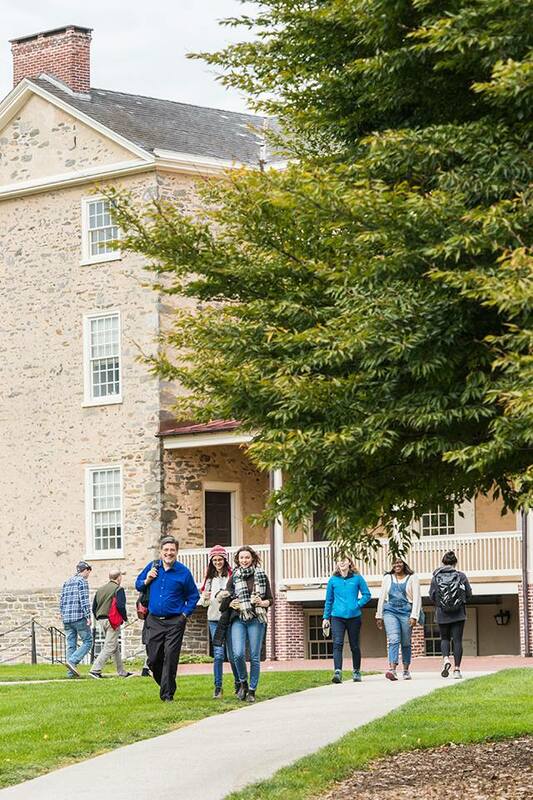 Visitor Information: Tour Haverford. Note: Haverford recommends all applicants schedule an interview beginning in the spring of their junior year. To get a more in-depth view, overnight visits during the fall semester are open to any current high school senior. Essential: A unique feature that sets Haverford apart from other schools is The Honor Code, an intrinsic part of the Haverford community, instrumental in everything from academics to student relationships. In place for more than 100 years, it is an everyday part of life at Haverford. Each year it is revised and re-ratified by the student body, fostering an environment of trust and respect. Unlike other schools, Haverford has no RAs in the dorms, un-proctored exams, 24-hour lab access, and no admission enrollment deposit—to name a few examples. Transportation: The nearest major airport is Philadelphia International Airport (PHL / KPHL), 18 miles from the center of Haverford College. Amtrak has frequent service to Philadelphia’s 30th Street Station. At 30th Street Station you can transfer to a direct commuter train to Haverford on the area’s mass transit provider Septa. Take the (Paoli/Thorndale line) to Haverford Station; travel time will be around 20 minutes. The campus is a ten-minute walk from the train station. Stay: Families highly recommend both The Radnor Hotel and The Wayne, both less than 5 miles away from campus. Other popular choices include The Residence Inn by Marriott, Conshohocken, and The Fairfield Inn and Suites Broomall/Newtown Square. Looking for value, book a room at The Americas Best Value Inn in Norristown or the Motel 6 Philadelphia - King of Prussia. If you’re interested in staying in downtown Philly consider The Rittenhouse Hotel, AKA Rittenhouse Square, Kimpton Palomar, or fresh off a 25 million dollar renovation the luxurious Ritz-Carlton. Lunch: Right In Haverford, there is a branch of local mini-chain The White Dog, a restaurant that pays homage in its décor to mans best friend. Filled to the brim with quirky and adorable dog accessories, photographs and paintings –this is a restaurant with personality! White Dog is extremely popular with locals and students alike for not only its nod to our canine friends but also its eclectic farm to table menu. In Ardmore, less than five miles away, the open-air mall Suburban Square has numerous dining choices including Besito for Mexican, Oath Pizza and a Sweetgreens for salads. Casual: In Ardmore, enjoy French fare at A La Maison and Japanese specialties’ at Maido. In Bryn Mawr, Taqueria El Limon serves authentic flavors of Mexico; try their sopes and tacos al pastor in fresh corn tortillas. Also in Bryn Mawr for burgers and BBQ platters head to Tin Lizard Brewing Company. A Step Up: Students love to book a table at Enoteca Tredici in Bryn Mawr when their parents come to town, a winning combination where the beautiful surroundings match the excellent Italian fare. Other top tables in the area include Fraschetta , Cerise Craft Steakhouse, Paramour, and Estia Taverna. Continue the Tour: Nearby, Bryn Mawr, Villanova or head to Philadelphia to tour UPenn and Drexel. Local Attractions: Join the locals walking their dogs or out for a run on the 2.2-mile trail of the Haverford Arboretum that meanders alongside the 216-acre campus. Established in 1933 by students and alums of Haverford’s Campus Club, the Arboretum showcases the school’s impressive collection of shrubs and trees and is a wonderful site for bird watching, open every day from dusk till dawn. Downtown Philadelphia is just 8 miles from campus, for an essential guide of the best things to do, where to stay and our favorite restaurants see below. Haverford is a quick ride away from Philadelphia, click here for our essential guide of the best things to do, where to eat and our favorite hotels in the city. Just toured the Haverford Campus? Are you a Haverford student, parent or Alumni? Fill out this 2 minute survey to supplement our Daytripper University Guide for Haverford!